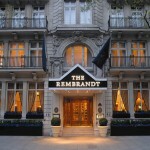 I am pleased to announce that the 2008 annual dinner will once again be held at the Rembrandt, Knightsbridge on Saturday 10th January. 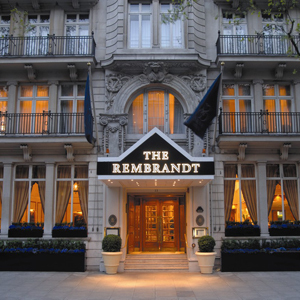 There will be a pre-dinner gathering in the Hoop & Toy in South Kensington at 7:30pm, with the meal commencing at 8:30pm. If you would like to attend, please contact me to confirm your place and the places of anyone you would like to bring along. The cost is approx £20 per head plus drinks. I really *really* do need to know the numbers, so please drop me an email if you can make it. Andy Clark will be revealing something amazing, so prepare yourselves! >Andy Clark will be revealing something amazing. When I asked about this I was told Rebecca had a new dress. Is this the amazing thing? We have confirmations from: Alan, Rex, Ronjoy, Ledda & Dom, Martin, Rob, Andy & Beca. Update: Kevin W & Bryan are coming too. Kev P is 50/50. Tim is coming. I do hope Andy will be there. Otherwise how is he going to share the news? I’ll see you all there. Just heard from Carl & Matt who are going to come on Saturday. Doug can’t make it unfortunately (get well soon), and Jon is only 90% at the moment.